IVINS — Ivins City is pledging $10,000 per year to the Tuacahn Center for the Arts for the next 20 years and is encouraging other municipalities and Washington County to make similar commitments. 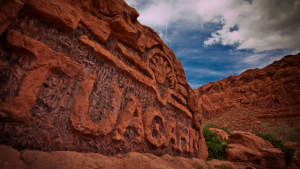 Tuacahn attracts thousands of visitors each year and brings an estimated $75 million in economic benefit to Washington County, Ivins Mayor Chris Hart said, but is in serious need of financing for critical maintenance and other capital improvements. Needs include: upgraded equipment, expanded seating and additional rehearsal and retail space, Hart said in a letter to county and city leaders. Most residents don’t realize that Washington County receives a huge economic benefit from Tuacahn, Hart said, close to $75 million, which is second only to Zion National Park. “We’re attracting about 265,000 people a year to see our shows,” Tuacahn CEO Kevin Smith said, with a half to two-thirds of those from outside the area. Tuacahn has become a destination for visitors from out of the area, Hart said, in addition to a very popular evening activity for tourists who are visiting the national parks and other attractions. “Because of the numbers of people we are attracting, we are now the largest theater in Utah,” Smith said. 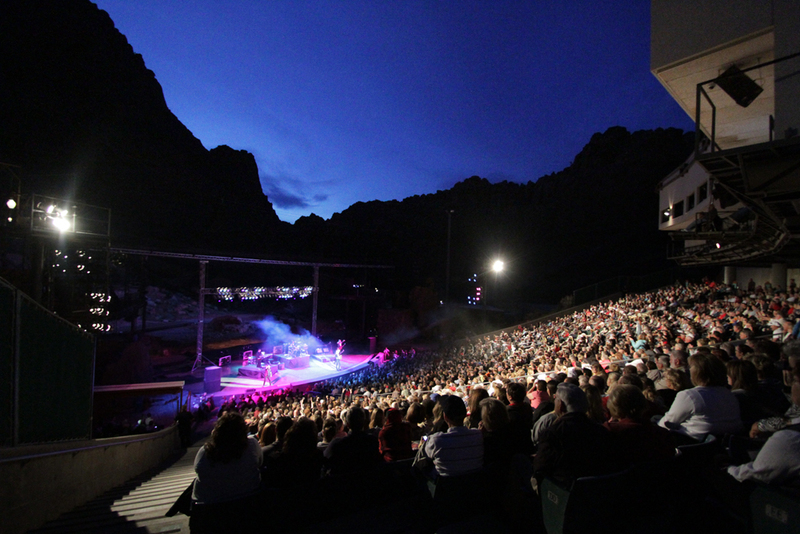 Tuacahn is a professional theater that partners with Disney and hires professional actors. The need for funding commitments is critical, Smith said, because Tuacahn could lose more than half a million dollars in private funding if the planned projects cannot be started soon. Tuacahn has plans for needed expansion and upgrades and has been trying to raise the necessary funds privately, Hart said. However, efforts have fallen short of the amount needed to begin construction in November as planned. If the work can’t be completed, much of the money already raised will be lost. The only reason they have done so well, and not needed more support from the community, Hart said, is that the Tuacahn facilities were built new 20 years ago, mostly funded by outright donations. “In the long term, if we don’t do something, (Tuacahn) won’t be around,” Hart said. One problem, Hart said, is that a lot of people view Tuacahn as a successful business and wonder why it needs funding from public sources. However, Tuacahn is not a business, but rather a 501(c)(3) nonprofit organization, Hart said. Throughout Utah, similar arts organizations regularly receive funding from both local and state governments, some getting more than a million dollars annually. Tuacahn has been long overlooked, Hart said, and will simply not survive unless that dynamic changes. 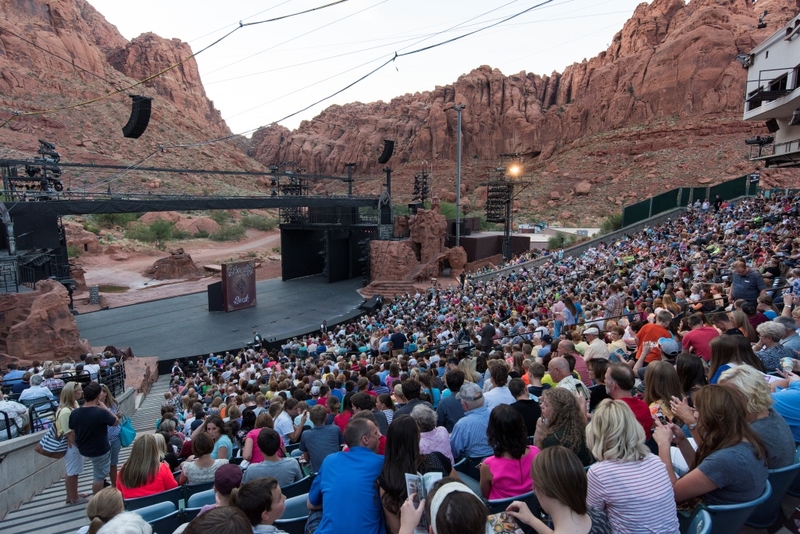 Since its inception, Tuacahn has relied on donations, both large and small, and has paid more of its own costs than any other arts organization in Utah, Hart said, including the Utah Symphony and the Utah Shakespeare Festival. But after being in use for 20 years, the theater’s needs are getting critical — the seating, parking lot, roofing and mechanical systems are wearing out; sound and lighting need to be updated with current technology, Hart said. Tuacahn has been overlooked for public funding, Smith said. For example, Hale Centre Theatre in West Valley City receives almost $700,000 each year through a tax that is similar to Washington County’s RAP tax, and other major arts organizations receive help from the Utah Legislature. The need for funding is urgent, Hart said, because work must be done between November this year and April 2016; and work cannot begin until funds are committed to finish the projects. The City of St. George and possibly Washington City are the greatest beneficiaries of hotel room tax and restaurant sales tax, Hart said in his letter to county and city leaders. Ivins derives very little monetary benefit from Tuacahn, just sales tax on “drinks and hot dogs,” Hart said. However, Ivins and other smaller cities benefit in other ways; for example, Tuacahn was a big part of the decision by developers to build the new Sentierre Resort near Tuacahn. Ivins officials approved the $10,000 per year funding commitment for Tuacahn at a City Council meeting Thursday as part of a discussion about the RAP tax money the city will receive. Because the RAP tax expires after 10 years, and will have to be approved again by voters, Ivins will take $5,000 “off the top” of the RAP tax proceeds each year and put it in an account created specifically to fund the city’s commitment to Tuacahn over the 20-year period. Other RAP tax funds, which are estimated to be approximately $75,000 annually, will be divided into thirds and distributed equally to approved recreation, arts and parks projects. People and organizations can apply to the city for funds during each calendar year. The City Council will meet each January to consider the applications. RAP tax awards will be limited to entities located within Ivins or that provide significant tax revenue to Ivins. Except they are all corrupt so they all think they are OK. After a thorough and complete investigation we find no wrongdoing…. Take a look at the Board of Directors. This is a Mormon project. Let the Mormons pay for it. They’ve got plenty of money. bet NONE of you have even been a patron. There’s more to life than staying home watching a bunch of country boys make duck calls. Just saying..
Californicater you just hit it on the head. One must pay to go the the plays and concerts. It should be self sustaining and them not begging for help. They don’t give the entertainment away. There is a lot “behind the scenes” mismanagement going on here. But some of us do know about arts management and budgets. I’ve been a patron for several years but I am becoming increasingly frustrated with their programming. Nothing but Disney, juvenile oriented productions. I think they do a first class job, just wish they did more adult themed plays. Little Mermaid, Wizzard of Oz, Peter Pan, Sound of Music etc etc.. I hope more people support Tuacahn because it’s a valuable asset to the community. I tend to agree, but unfortunately they tried that with the programming from 2000-2005. The programming choices were still family-friendly, but not blockbuster shows that pack the houses night after night. Guys and Dolls, West Side Story, Fiddler On The Roof — these were great, classic musical theater, but they can’t pack a 2000 seat house night after night. In those seasons, they still barely broke even. I would like them to choose even more controversial, less obvious musicals like Into the Woods, Sweeney Todd, Man of La Mancha, etc. but it just won’t happen in such a large venue where volume of patronage is everything (more concessions, more gift shop purchases, etc). Best to look to Utah Shakes or other, smaller venues for the more boutique offerings. Tuacahn is wonderful, but I certainly think those ticket prices could pay for a few things, if it is a non-profit organization. Certainly new ticket sales could pay for the extra seats, right? Before donating a lot of public money, we need to see where all of the current money is going. If they genuinely need something, our communities could certainly contribute. 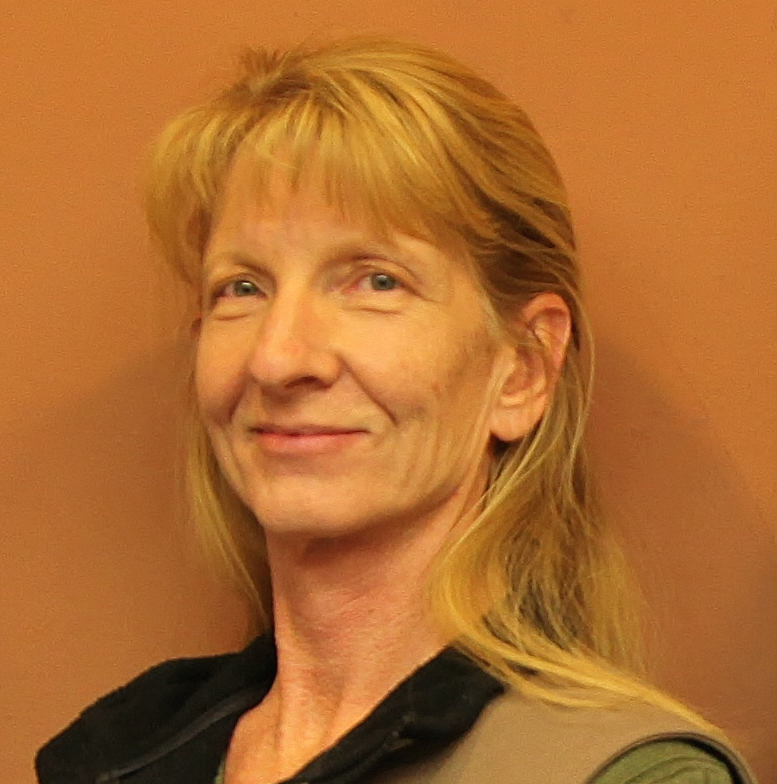 The board of directors at Tuacahn are all volunteers. Many of them got on the board by making sizable contributions to the center. There are a skeleton crew of people who are year-round who make decent (not extravagant) salaries. Most of the staff is seasonal and minimum wage. Performer salaries aren’t a mystery either. Anyone can access what the union pay rates are at actorsequity.org. Look up LORT theater scale and look at the lowest end and that’s usually what Tuacahn pays — and that’s just for the handful of performers lucky enough to be union. For the college kids, they are lucky to pull down $400-600/week for dancing their booties off – 6 nights a week – ~40-60hrs/week. Throw in the musicians and technicians as well as the operational costs of electricity to run hundreds of high-power lights night after night, and idiots who break restroom facilities, these facilities barely scrape by year after year. This is why most arts organizations, including Utah Shakes, relies heavily on patron donors rather than ticket sales. Maybe we should change the spelling to. TuaCON. The budgets of non-profit 501(c)3 organizations are public. Government entities should be taking a close look at this before making any financial commitments. There are standard acceptable percentages for salaries, etc. While it’s true that nearly all non-profit performing organizations need donations to keep running (ticket sales don’t pay the full cost), it’s also true that good business management is critical to long-term success. Who owns Tuacahn? What’s the current budget? Who are the current donors? All questions that should be asked and answered. Totally agreed. Tuacahn is a lovely venue and I’ll support whatever voluntary fund raising they want to try, but before they get one dollar of public money, they need to open their books. What is the actual shortfall after ticket sales, concessions, donations, and gift shop revenue? I’m all in favor of supporting the arts, but writing a blank check on the taxpayer’s dime is never a good thing. Definitely. Supporting legitimate arts organizations is important. But this one has Ego and poor management written all over it. Here’s a link to some details about Tuacahn’s finances: http://www.charitynavigator.org/index.cfm?bay=search.profile&ein=870487695#.VbJuEM5RF1s. Also, their financial reports should be available.